The startup Whydonate has delivered the platform GivetheChange.nl. This was developed on behalf of and in collaboration with Triodos Foundation. 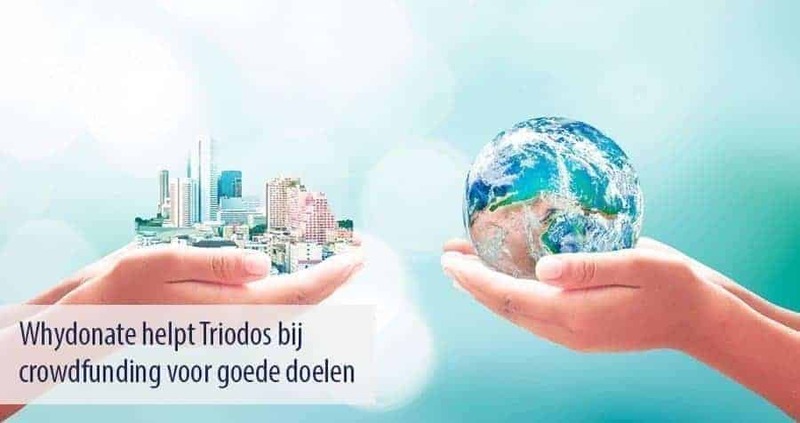 GivetheChange.nl offers varying charity projects, selected by Triodos Foundation. Whydonate is a whitelabel do-good platform and comes from ING’s start-up community. Charities can use this platform to activate the crowd and receive donations. After building its own platform for ING, Whydonate investigated whether more companies would be interested in a similar service and that is how the contact with Triodos Foundation started. This organization has been working with donation money since 1971 and wants to continue this in a contemporary way by involving the crowd. Whydonate now has, in addition to its own platform, the strategy to build social platforms with and for companies, municipalities and other institutions. “Givethechange.nl is the first platform we have built on the basis of this new strategy,” says co-founder Niels Corver. “I hope and expect that we will be able to follow even more new and innovative platforms next year.” Using companies and organizations the platform to support corporate social responsibility. In addition, they want to promote connection in the local community in this way by supporting, among other things, local charities. More and more companies are looking for solutions to involve employees in their Corporate Social Responsibility. When choosing an employer, talents no longer only look at salary, education and career opportunities, but also in which way an organization contributes to society. In addition to the well-known collection campaigns, in which employees, for example, run to raise money for a good cause, there is increasing demand for donations in kind. “The Whydonate platforms can now also be expanded with modules to donate hours or free working days,” says Niels Corver. Whydonate comes from the ING startup community where the platform Whydonate.nl has been developed into one of the largest Dutch platforms for crowdfunding and fundraising for charities. More than 1200 charities are on the platform, where 45,000 people annually donate approximately € 1.5 million. Previous Post A Charity as good intention for 2018 Next Post Zijn crowdfunding donaties belasting aftrekbaar of niet?